Automation and Security are delighted to be displaying our products here, we provide Electric Gates and Barriers throughout the U.K. Automation and Security www.ElectricGates.uk are a national award winning company with Theo Paphitis from Dragons Den and we are the largest Electric Gate company in the North East of England. 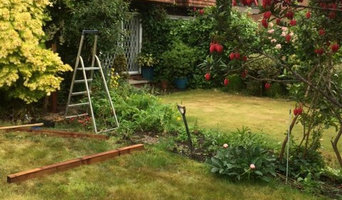 With more than 30 years of experience in the fencing business, S.J. Purvis Fencing Contractors offer durable fencing solutions at competitive prices in Newcastle upon Tyne, Gateshead, Northumberland and the nearby areas. At S.J. Purvis Fencing Contractors, we offer all types of fencing services at highly competitive prices. Whether you need wood fence panels or chain link fencing, we supply quality fencing products that are strong, durable and stylish. Call us for services in Newcastle upon Tyne and Northumberland. Our driveway gates and electric gates are available as sliding gates, swing gates and are all available as remote automatic operating. 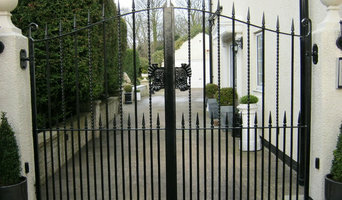 We work with the leading gate automation manufacturers in the UK and worldwide. electric gate automation Our professional manufacturing team can design, fabricate and install a range of automated or manual gates for security and for aesthetic entrances to your property designed to your specific requirements. Established in 1994 Alpine Fencing has developed into a professional, friendly, hard working and most importantly local family business who listen to what the customer wants. Alpine Fencing offer a range of garden based services fencing, gates, decking, turfing and paving to meet even the most demanding customer. As every job is individual we always like to come out and take a look at each job before preparing a free quotation reflecting the customer's requirements this ensures that we deliver an accurate estimate for the work required. We operate up to three teams at any one time so if you require a prompt job we can normally accommodate new bookings within one or two weeks of the initial estimate. The same applies to gates, which are even harder to build and install yourself, unless you are a practised carpenter, craftsman or builder. So if you want one-of-a-kind fence and gate designs that can be fitted by professionals, or perhaps just fence repair, then you should take a look at the Newcastle upon Tyne, Tyne & Wear gate manufacturers and fencing contractors listed on Houzz. With Houzz you can browse through gate manufacturers and fencing contractors in Newcastle upon Tyne, Tyne & Wear to find a professional to work on your project. Check reviews, recommendations, ratings and photos of their previous work to decide if you want to contact them about your fence or gate. Gate and fencing contractors in Newcastle upon Tyne, Tyne & Wear will be able to advise you on the best materials to use and how to look after your fencing. Aside from designing, building and installing your fence or gate, a specialist may also offer fencing supplies, materials and fence repair services which will help you maintain your bespoke fencing and gate designs. Whether you are looking to build a traditional wood panel fence, commission an elaborate wrought iron gate, want a quaint white picket fence or a large, electric gate to shield your home from public view, you’ll be able to find Newcastle upon Tyne, Tyne & Wear gate or fencing contractors on Houzz that have the specialist expertise to carry out the job. You may find that gate and fencing contractors also work closely with lawn and landscape professionals. Here are some related professionals and vendors to complement the work of fencing & gates: Wrought Iron Workers, Decks, Patios, Sheds & Summerhouses, Cladding & Exterior Contractors, Landscape Contractors, Landscape Architects & Garden Designers. If you already have some garden fencing ideas or even gate designs, then discuss these with your potential fencing contractors to see if they can become a reality. 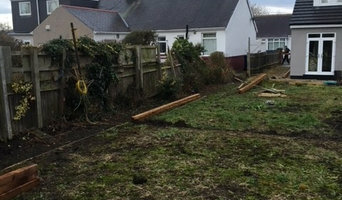 You may find they have to be tweaked slightly, perhaps due to budget, space or Newcastle upon Tyne planning restrictions, but good fencing contractors will be able to come up with a compromise to meet every need or constraint. Find gate and fencing contractors on Houzz. Narrow your search in the Professionals section of the website to Newcastle upon Tyne, Tyne & Wear gate and fencing contractors. You can also look through Newcastle upon Tyne, Tyne & Wear photos to find examples of fencing and gates that you like, then contact the contractor who worked on them.